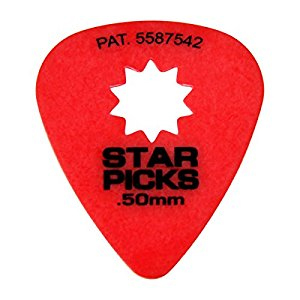 The ingenious idea behind this pick is to take a standard 351 style pick and cut out a star shape in the middle. The result? A pick that's easier to grip and has less slip, giving you more control.